The Unified DIRTcar 358 Modified Series will be racing for more than $330,000 in purse and point fund money in 2019. 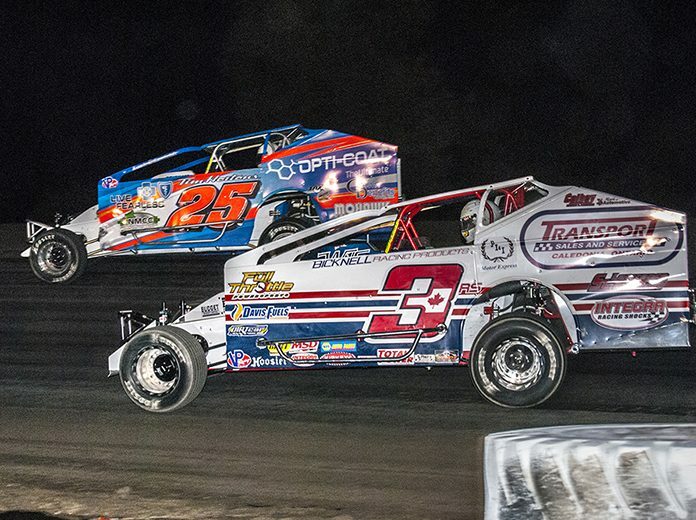 CONCORD, N.C. — This season marks the return of the unified DIRTcar 358 Modified Series schedule, with more than $330,000 of purse and point fund money available over the course of 13 highly competitive events across New York State and Ontario. The season kicks off on Sunday, May 12, at Utica-Rome Speedway, and concludes with the $10,000-to-win Bullringer 100 season finale Oct. 19 at Brockville Ontario Speedway. Next up is Can-Am Speedway on Wednesday, June 26. 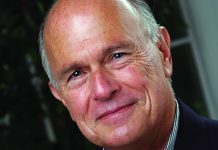 Can-Am is another haunt of the No. 49 358 Modified of Billy Dunn, the reigning track champion. 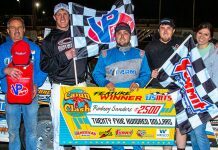 Three of the top drivers in points at Can-Am Speedway — Ryan Bartlett, Jordan McCreadie and Ryan Arbuthnot — will make a run at the series championship in 2019. 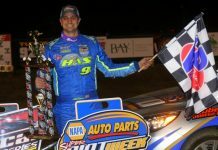 Corey Wheeler plans to make all the DIRTcar 358 Modified Series races in 2019. 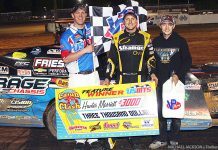 He’ll have home-track advantage when the Series rolls into Cornwall Motor Speedway on July 14, which is immediately followed by the July 15 series race at Mohawk Int’l Speedway. Last year Tim Fuller dominated 358 Modified competition at Mohawk. Track championship runner-up Lance Willix is taking on the Series in 2019, as well. 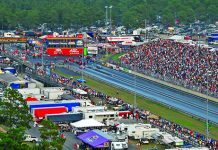 At the halfway point of the season, the Series returns to Can-Am Speedway and Mohawk Int’l Raceway in September. October brings the traditional NAPA Super DIRT Week 358 Modified Series marathon starting with Utica-Rome Speedway on Tuesday, Oct. 8. The next day, the Series swings into Weedsport Speedway, and then Brewerton Speedway on Thursday for the famous Hurricane 100. Finally, the unified DIRTcar 358 Modified Series season concludes with the $10,000-to-win Northeast Fall Nationals Bullringer 100 at Brockville Speedway in Ontario, Canada. Mat Williamson took the checkered flag in last year’s Bullringer, but Larry Wight in the No. 99L triumphed in the overall Series Championship. Other drivers who plan to make all the Series races are Steve Bernard from Granby, Quebec, Tyler Meeks out of Evans Mills, N.Y., Andrew Spurback, and Chad Brachmann, who races weekly at Ransomville Speedway. Drivers looking to make the most of the schedule are Mat Williamson, Danny Johnson, Billy Whittaker and Kyle Dingwall.